Identity – it is easily taken for granted, but it is one of the most important rights in the modern world. That’s because it defines who we are, enabling us to legally exist and participate in society. Identity provides access to fundamental services such as healthcare, education and welfare, and enables citizen entitlement to ID cards and Passports. But identity also empowers governments – it allows them to nurture, protect and understand their citizens. And that leads to the effective allocation of resources and provision of services on a national scale. A changing world poses some serious challenges to the provision of secure identity – the global population is set to grow to over 11 billion by the year 2100, according to the world bank. The levels of trade and personal wealth are growing, and migration, crime and illicit trade are on the increase. Already today, 1 in 5 children under the age of 5 is un-registered and 1.5bn people in the developing world have no proof of identity at all. A Civil Registration and Vital Statistics (CRVS) programme enables the capture of key, accurate data, which forms the core of a true and stable identity – essential in our rapidly changing world. But CRVS registry benefits the whole as well as individuals – a country’s overall population is better served if every citizen’s rights are recorded, registered, validated and recognised. Governments who understand their population’s make-up are better-placed to allocate the right resources and services. At De La Rue, we believe that access to authentic data at the earliest possible opportunity is the key to delivering a flexible and secure citizen identity management solution - one of the most important responsibilities of government. 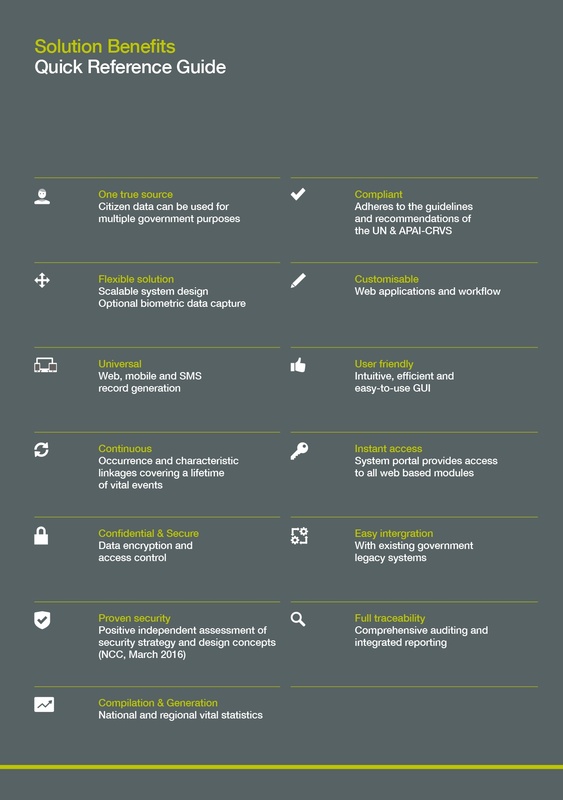 DLR Identify™ for CRVS provides the foundations for national identity management. Working with governments around the globe, we have developed a secure, browser-based software solution and digital infrastructure that enables governments to collect and manage genuine and legal citizen identities. 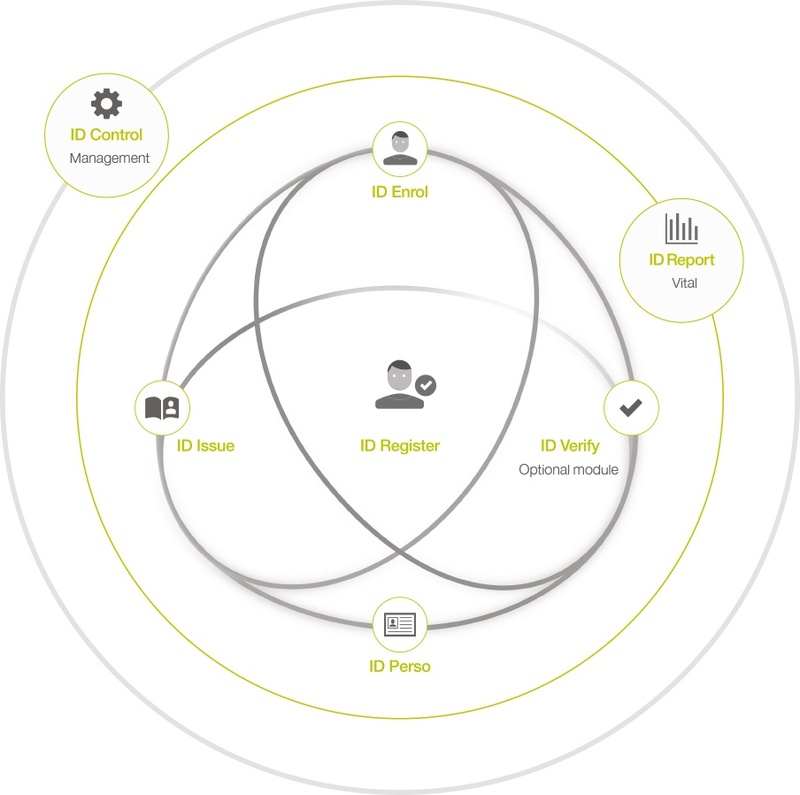 DLR Identify™ is based on the secure management of four functional identity pillars: notification, recording, registering and reporting of citizen data. It’s a cost-effective way to record the occurrences and characteristics of vital events including births, deaths and marriages – and to derive data that can help planning and delivery of vital services. Using web-based interfaces and mobile registration capability, DLR Identify™ CRVS makes the capture of critical data simpler and allows information to be processed in real time. DLR Identify™ for CRVS enables family links to be established and maintained across generations via the creation of a unique ID, with supporting certificates that enhance traceability. 3. Plan for today's needs and the future view of the population. DLR Identify™ for CRVS provides an instant view of vital statistics with data analysis on demand. Statistical reporting is bespoke and can be designed to support your planning needs. 4. Achieve a single, integrated database for all citizen data. DLR Identify™ CRVS provides a secure centralised database that can be accessed from web and mobile interfaces, allowing multiple authorised users and stakeholders appropriate access to the same data and source information.